The mecca of all things pertaining to the active lifestyle, Popular Mechanics is the place to go to for round-ups on the best products to have for every adventure. 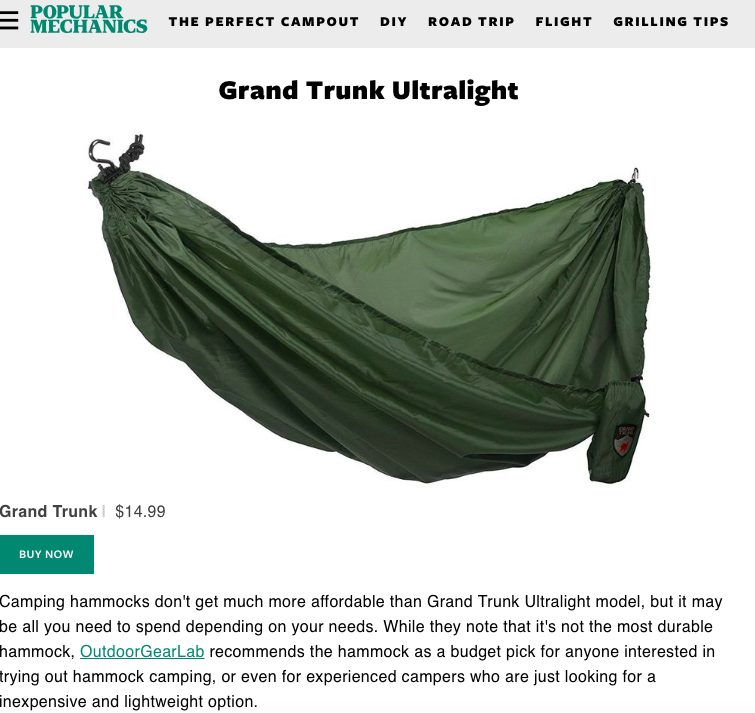 One of their latest spiels is all about taking it easy in style with the best hammocks around and in the mix you will find our client, Grand Trunk with their Ultralight model. The perfect option for a budget-friendly and lightweight pick, starter campers and experienced campers love the Ultralight equally. Cheers to our latest feature for our awesome client, Grand Trunk. On our way to the next feature.